I know two parters can seem lazy, but I learned about a hundred articles back that people don’t really have the time nor desire to read a thousand words and forty images. Apparently you all have jobs or classes or something. So when I decide on a story I want to cover and I end up with thirty five-ish images, I figure no harm in breaking that up — you have TVs to sell or math worksheets to complete or Facebook birthdays to congratulate. Plus Green Lantern art takes forever to look at anyway, when each page crowds dozens of dudes flying and zapping. More on that in a minute. 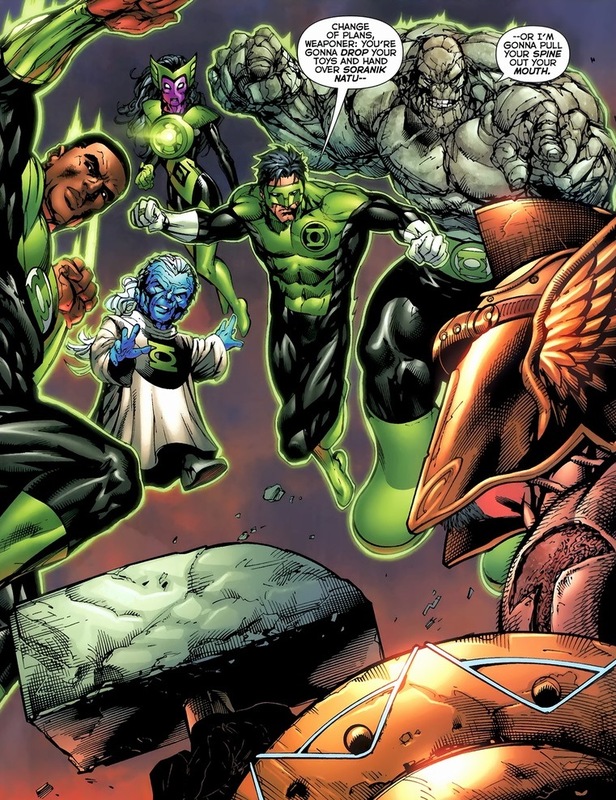 Before we continue, what do you know about the human Green Lanterns? Hal Jordan’s the most famous and the one portrayed in the Ryan Reynolds movie. 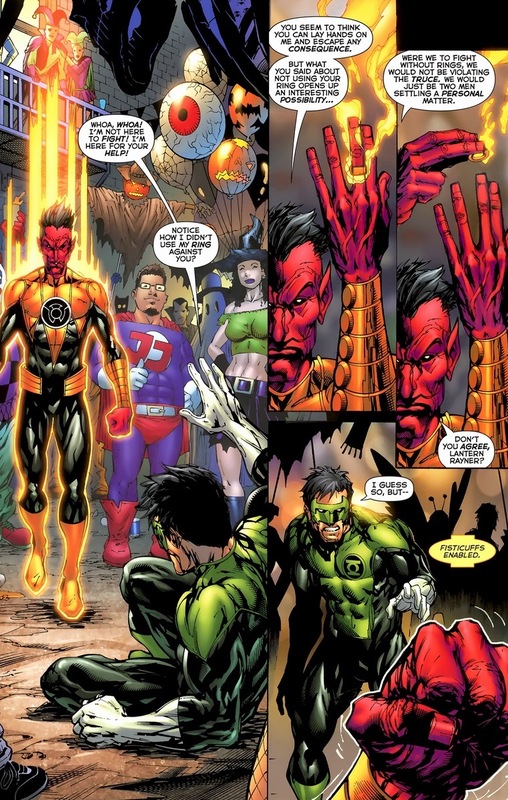 Alan Scott, the first Green Lantern (who wears a red costume) received his ring from magic and doesn’t technically qualify for the corps. John Stewart’s the Green Lantern who achieved fame from the Justice League cartoon a few years back. Guy Gardner’s the hot-headed brawler Green Lantern who until recently sported a bowl haircut. The newest Green Lantern Arab-American Simon Baz premiered just last year. 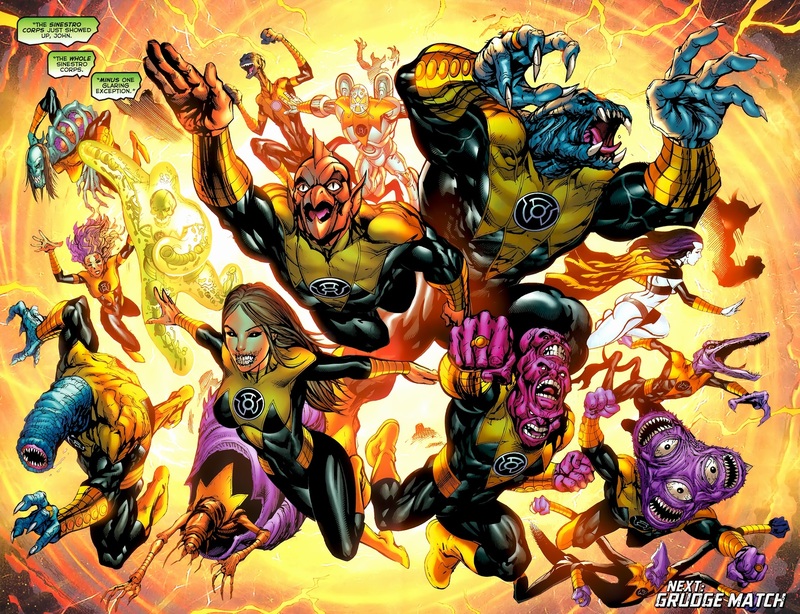 And besides the thousands of other Green Lanterns (like the aliens Kilowag, Jade, Salaak, Boodikka, Laira, Arisia, etc. 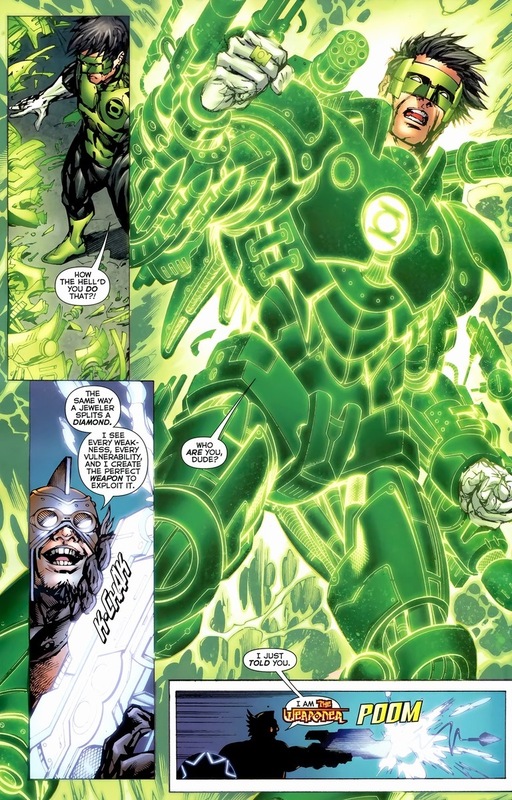 ), we have Green Lantern powerhouse Kyle Rayner. 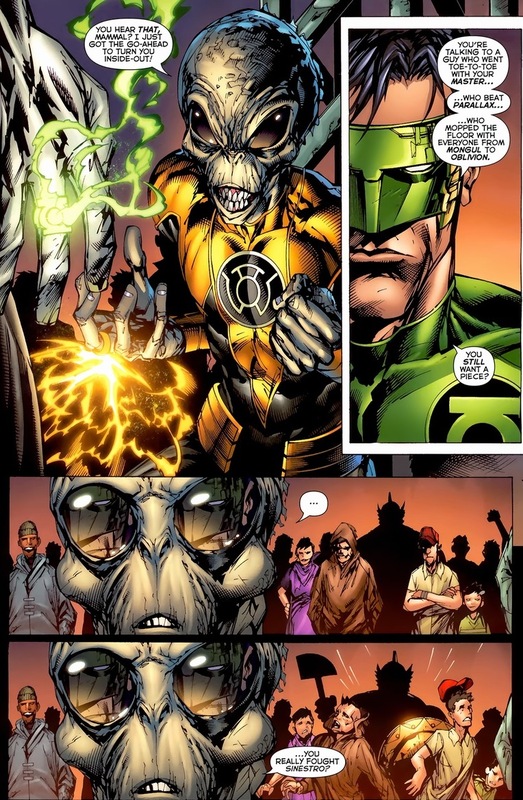 Well, to be fair, he’s not currently a Green Lantern but a White Lantern which includes powers from all seven ring colors (green, yellow, red, purple, indigo, blue, and orange — each one powered by a different emotion). Confused yet? It’s okay. Scrub your brain of everything you just read while we talk about Rayner. 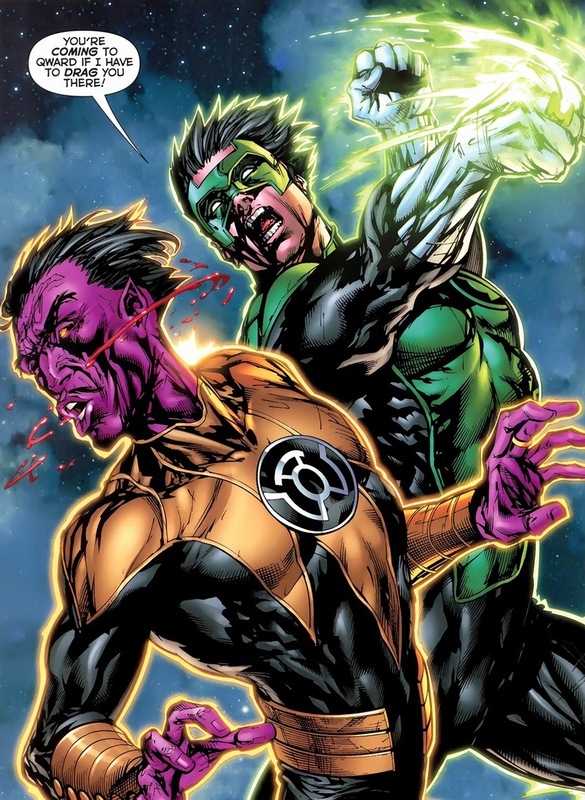 Remember in Monday’s article I mentioned that Hal Jordan became evil and wiped out the entire Green Lantern Corps? 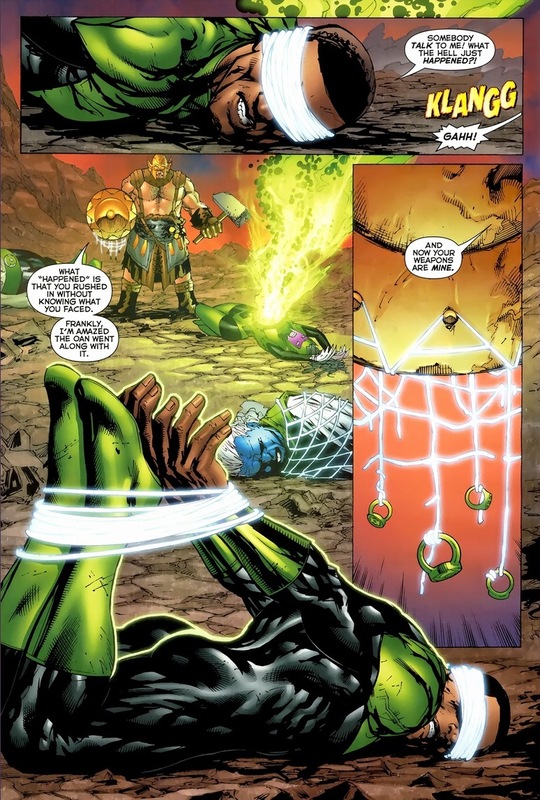 Turns out one final ring remained, which drunken artist Kyle Rayner fortunately received. 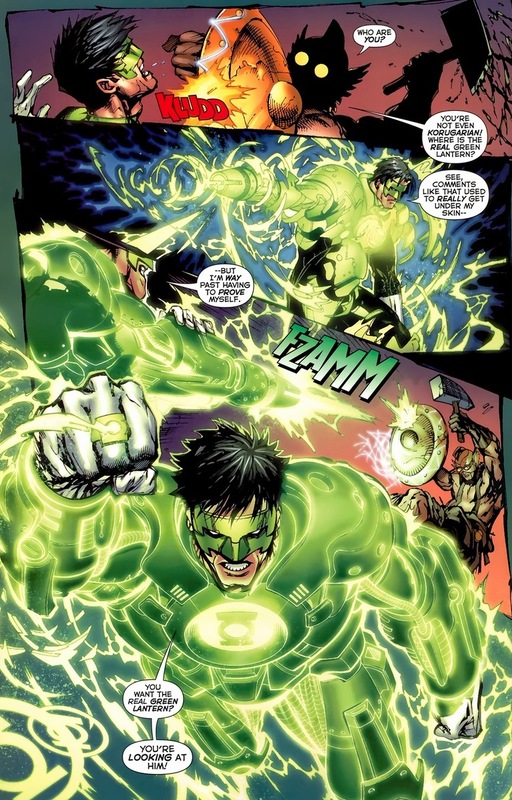 You see, while the Green Lanterns who came before him had the distinction of being fearless, Kyle Rayner still felt fear — the difference being that he had the power to overcome it. Or something along those lines. He immediately gets tasked with defeating his predecessor, who I should add, totally takes down Superman a few issues later. Good luck to him. 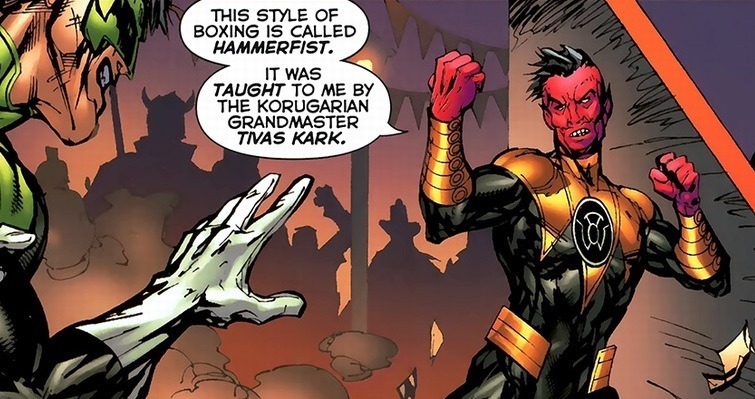 But as we cut to present day, now he just watched a Sinestro Corps member’s head explode like a watermelon at a Gallagher concert. 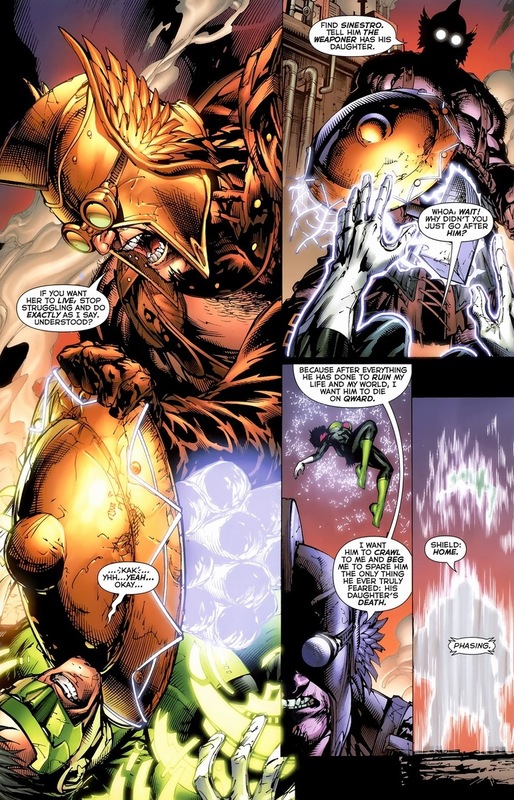 Rayner engages his hammer-wielding enemy, as most superheroes would witnessing this. 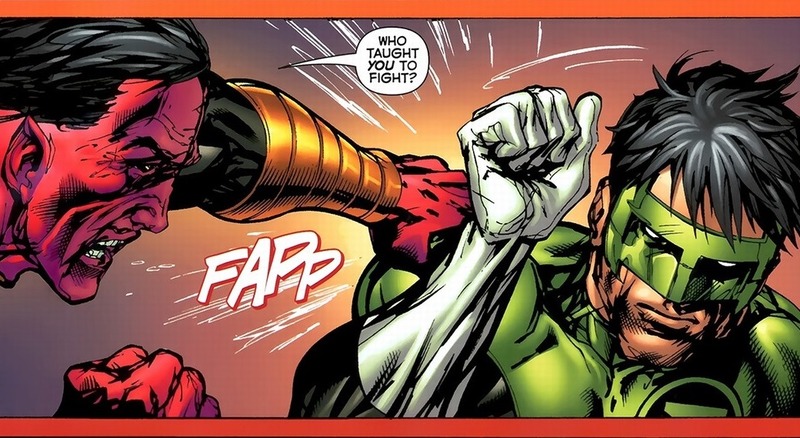 Also, take a moment and appreciate the complexity of the art in Green Lantern comics. The Weaponer! 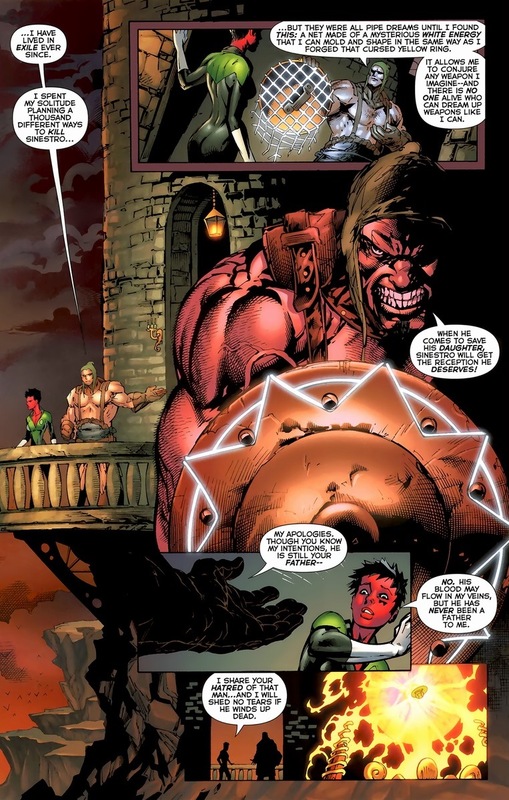 How does he know so much about the capabilities of the Green Lantern ring? 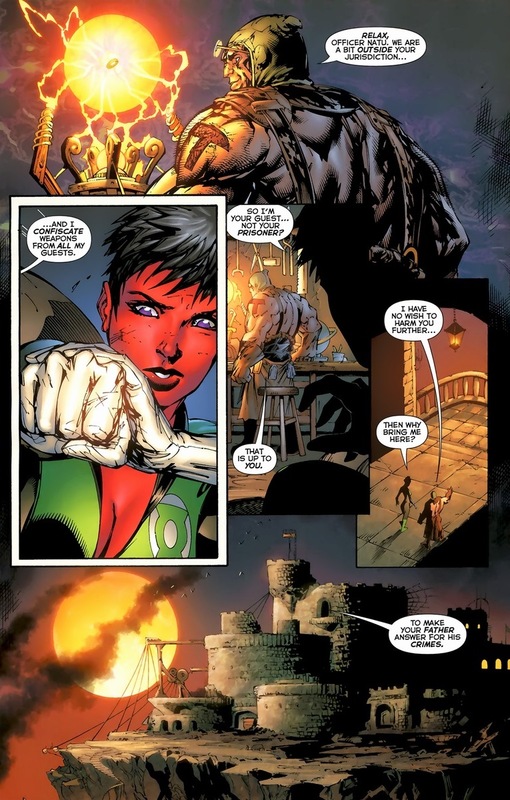 Y’see, when Green Lantern arch-nemesis Sinestro betrayed and left the corps, he went to the Weaponer to forge him a new ring. 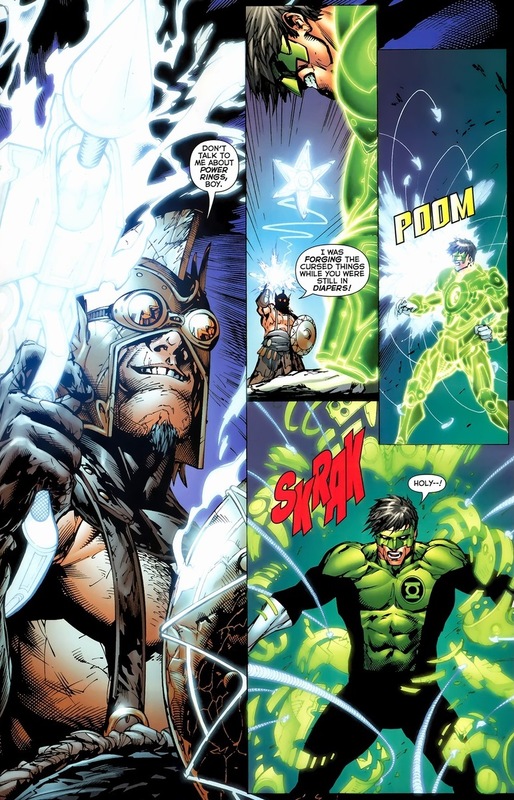 He chose yellow (because of the weakness Green Lantern rings possessed to it — not anymore, but back then) and his ring charged on the ability to instill fear into others. 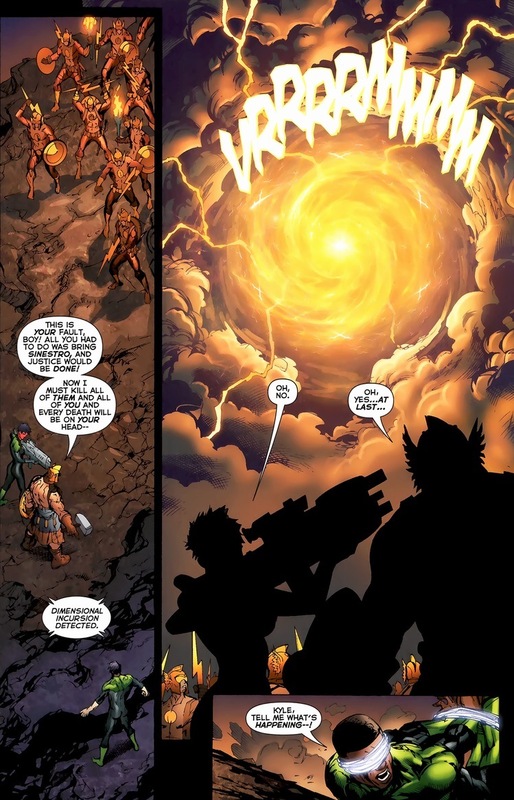 Now the Weaponer shows up on Korugar, Sinestro’s home planet, looking for his former client. 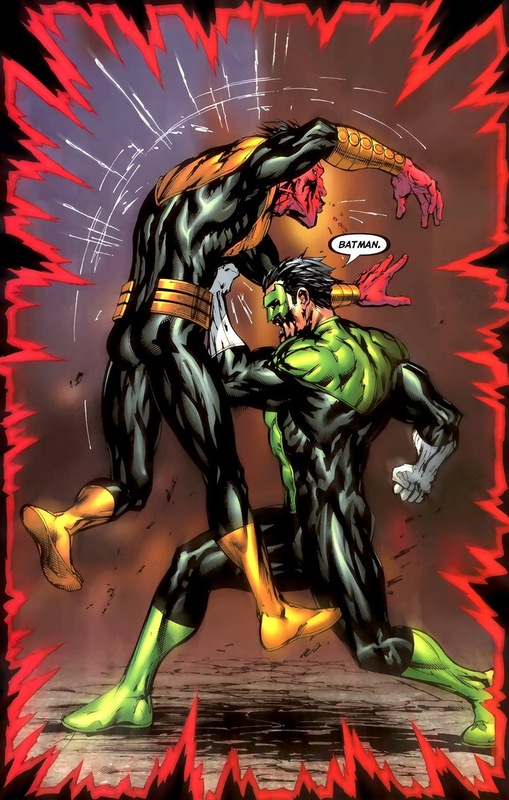 Sinestro refuses to go. 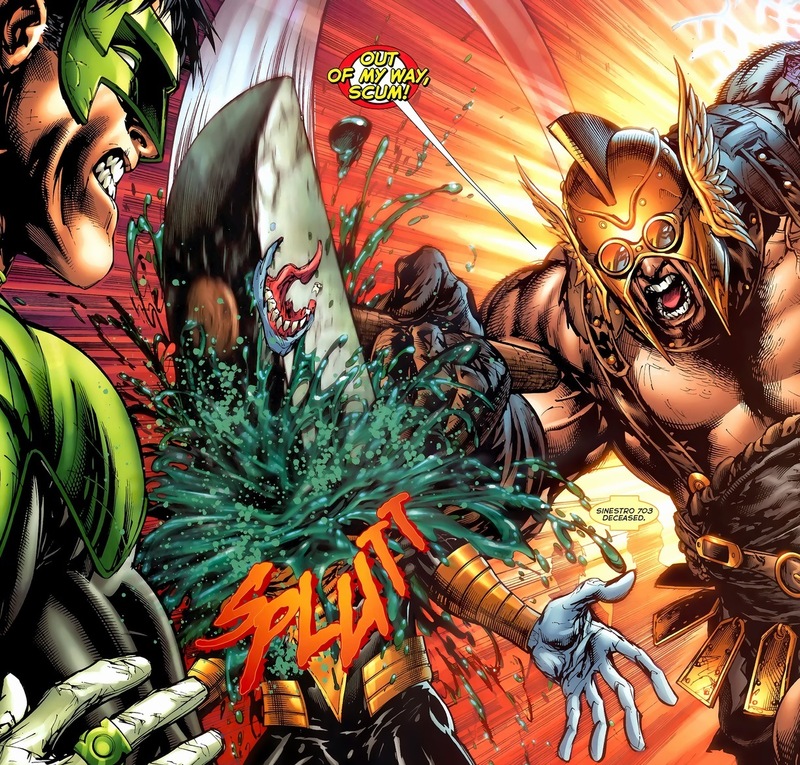 But before the Green Lanterns arrive to save one of their own, I’ll allow Weaponer to make his own case to the reader. After all, depth to an antagonist adds that ambiguously moral flavor we all love in our modern day comics. 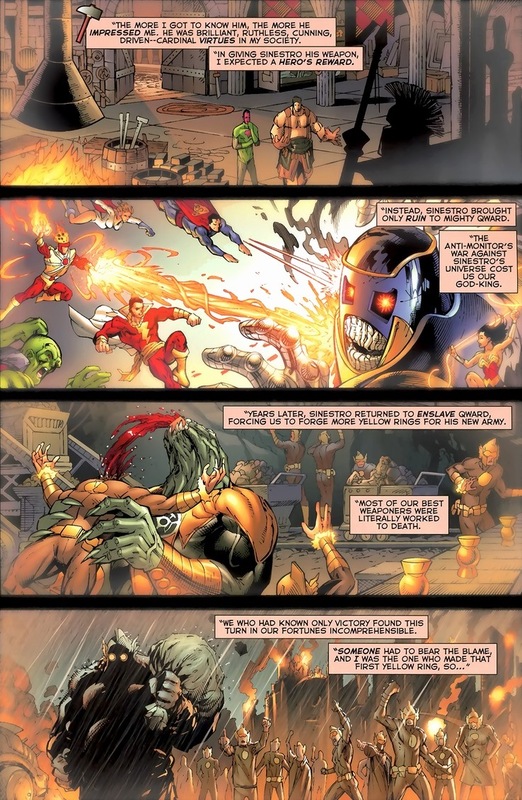 Wipe those tears away, because the 7,200 members of the Green Lantern Corps can spare a few soldiers to rescue their captured comrade. Even better, the Green Lantern Honor Guard. Solid team Rayner assembled. You have U.S. Marine John Stewart, Alpha Lantern/robot Boodikka, rock monster Hannu, and Ganthet, an actual Guardian of the Universe turned Green Lantern. They lose. Badly. 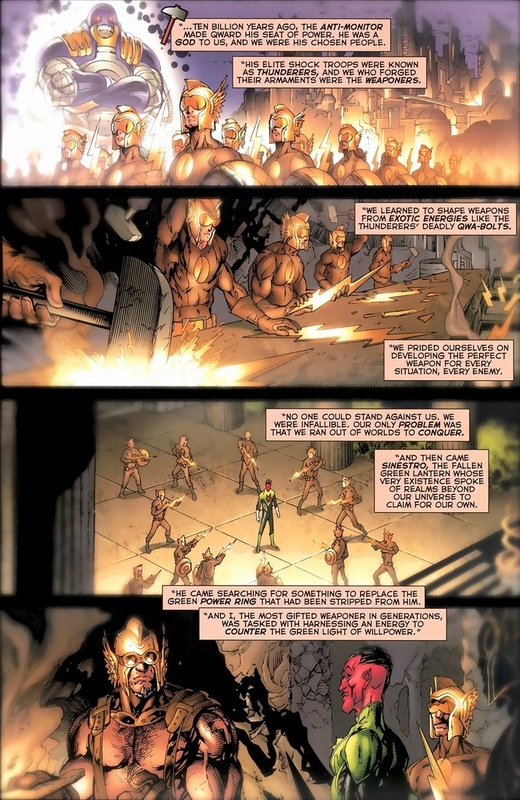 As you know from reading comics, just as everything seems to come to its logical end with the supervillain standing victorious over the beaten bodies of his foes, someone arrives to save the day. Though in this case, everything just became much worse. We’ll conclude Friday and then we’ll delve into some old school Daredevil on Monday!